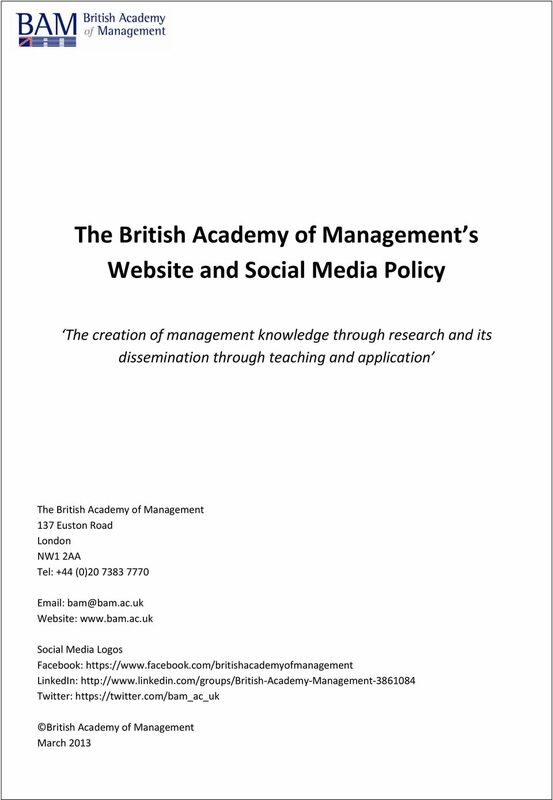 Download "The British Academy of Management. 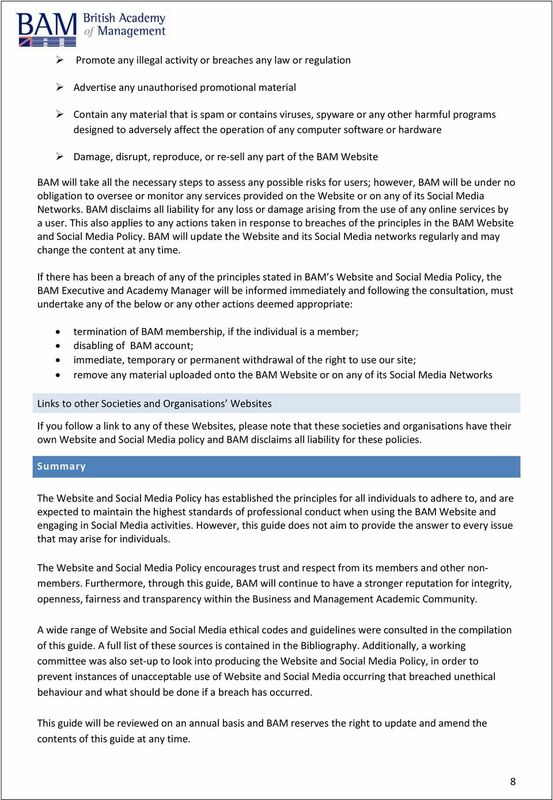 Website and Social Media Policy"
INTERNET, EMAIL AND COMPUTER USE POLICY. 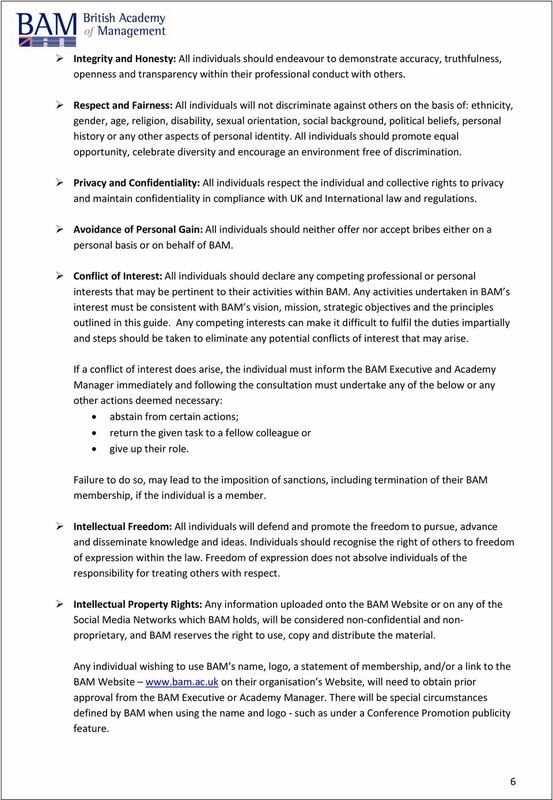 IGO GROUP GOVERNANCE STANDARD 4 - SOCIAL MEDIA INDEPENDENCE GROUP NL CONTENTS 1. PURPOSE... 3 2. SCOPE... 3 3. STANDARD COMPLIANCE... 3 4. DEFINITIONS... 3 5. RESPONSIBILITIES... 4 6. MONITORING... 4 7. 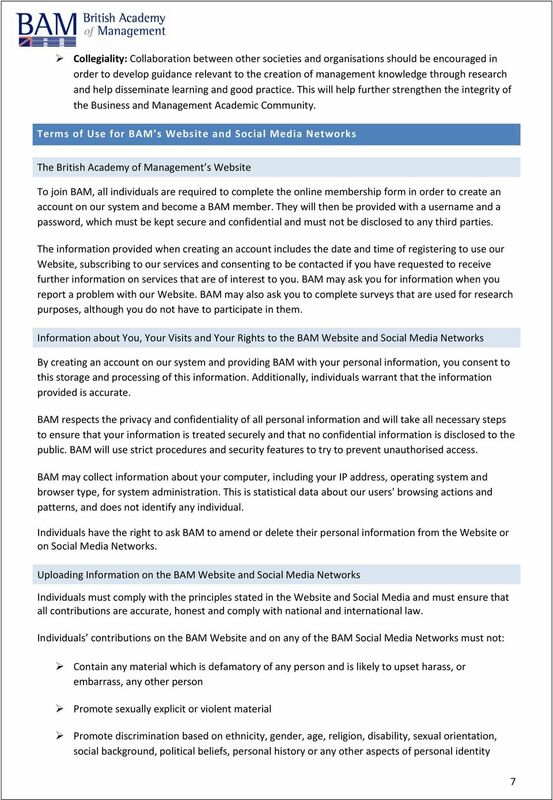 Rules for the use of the IT facilities Effective August 2015 Present INFORMATION MANAGEMENT GUIDE RULES FOR THE USE OF THE UNIVERSITY S IT FACILITIES ( The Rules ) 1. Introduction 2. Interpretation 3. 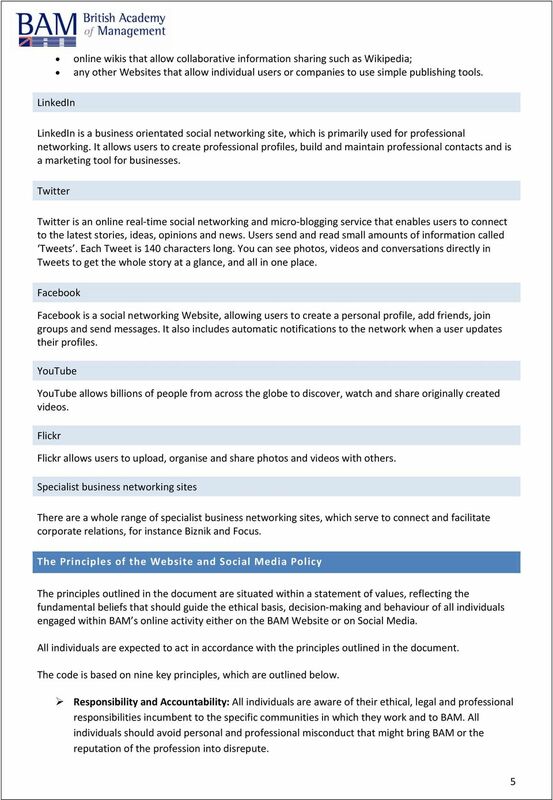 [Example] Social Media Acceptable Use Policy Overview The [agency] recognises that there are legitimate business and personal reasons for using social media at work or using corporate computing resources. With the increasing popularity of social media you need a Social Media Policy to protect your company. 2.2 The Policy establishes a framework within which users of these facilities can apply selfregulation to their use of the facilities. 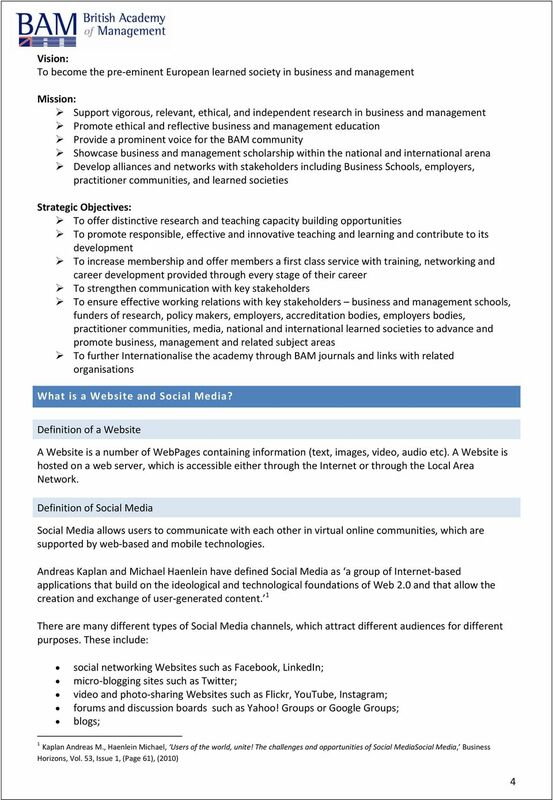 SOCIAL MEDIA AT BLOOMSBURG UNIVERSITY Guidelines for University Communications and Marketing Professionals October 2010 These guidelines were created by Bloomsburg Office of Marketing and Communications. Social Media Policy. November 2013. Also available in large print (16pt) and electronic format. Ask Student Services for details. 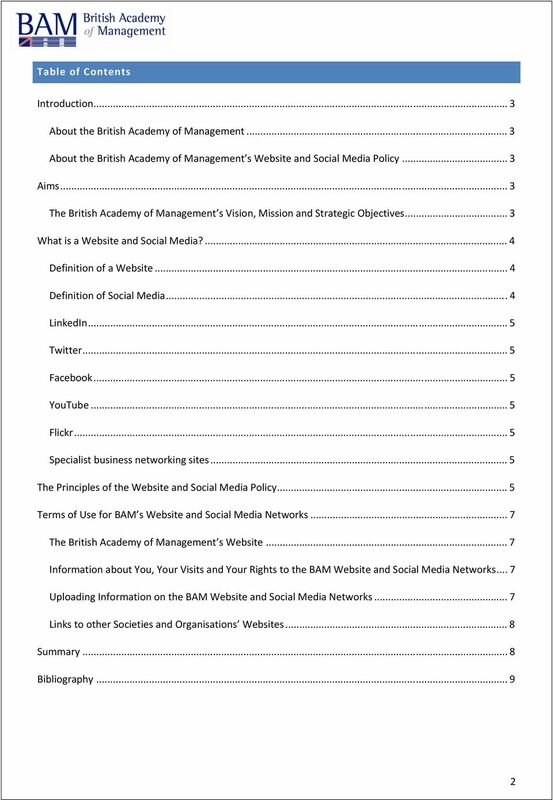 SOCIAL MEDIA MANAGEMENT POLICY To ensure that the flow of information between staff and the social media community is accurate, timely and promotes Council s credibility and reputation in the wider community. SOCIAL NETWORKING. 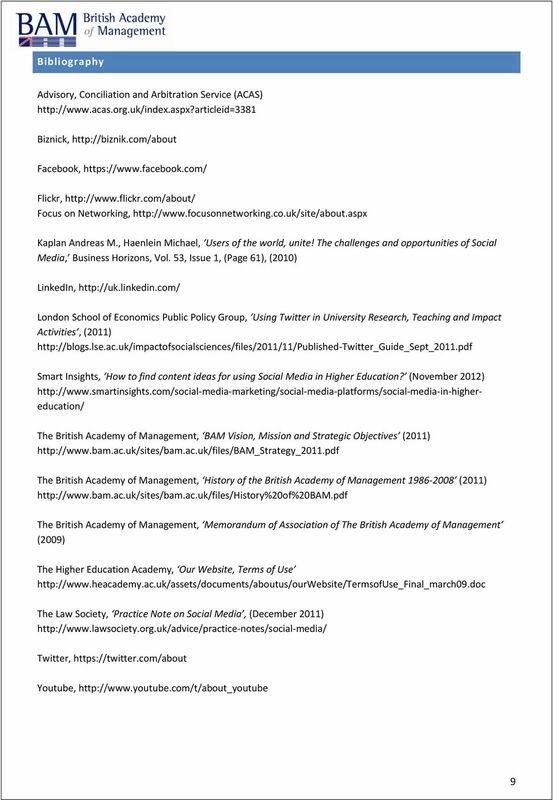 And Employment Considerations. Bonnie Curran, Human Resources Consultant University of Tennessee, MTAS. 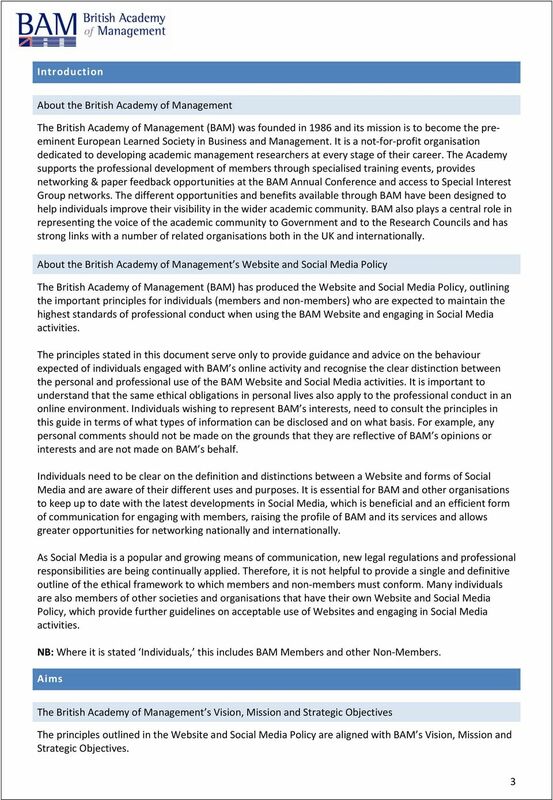 VOLUNTEER SOCIAL MEDIA POLICY AND PROCEDURE. Acceptable Use of ICT Policy Staff Policy Contents INTRODUCTION 3 1. ACCESS 3 2. E-SAFETY 4 3. COMPUTER SECURITY 4 4. INAPPROPRIATE BEHAVIOUR 5 5. MONITORING 6 6. BEST PRACTICE 6 7. DATA PROTECTION 7 8. Please read these Terms and Conditions of Use carefully. They govern the provision and use of the MyPAYE Online Payroll service and website.